This skin treatment contains a formulation of antioxidants and enzymes that leave skin smooth, purified and glowing. Sensi Peel® is formulated as a unique peeling option for all patients, including those with highly sensitive skin. This gentle 6% TCA solution will improve surface texture and brighten the skin while helping to promote an even skin tone. 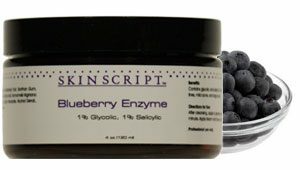 Blueberries contain potent antioxidants for anti-aging. With 1% glycolic and 1% salicylic, this enzyme provides a nice brightening exfoliation that will leave minimized pores and leave the skin feeling very soft. One of our most popular facials, this intensive clinical treatment is designed to rapidly and safely resurface the skin, reducing fine lines and wrinkles while smoothing, softening and encouraging cellular renewal. 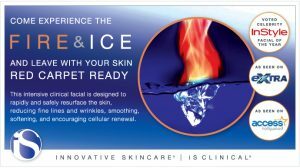 Excellent for all skin types and ages, this facial results in a complexion that is dramatically refined, with no downtime, peeling, or other negative side effects.